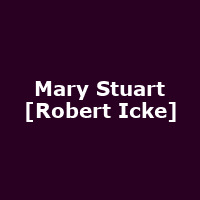 "Following a critically acclaimed, sold-out season at the Almeida in 2016-17, Robert Icke's new adaptation of Mary Stuart transfers to the Duke of York's Theatre in London's West End from Saturday 13 January for a limited run. The production will then visit Theatre Royal Bath from Wednesday 4 - Saturday 14 April, Salford Lowry from Tuesday 17 - Saturday 21 April and Cambridge Arts Theatre from Monday 23 - Saturday 28 April 2018. Schiller's political tragedy takes us behind the scenes of some of British history's most crucial days. Playing both Elizabeth I and Mary Stuart, Juliet Stevenson (Hamlet) and Lia Williams (Oresteia) trade the play's central roles, decided at each performance by the toss of a coin."